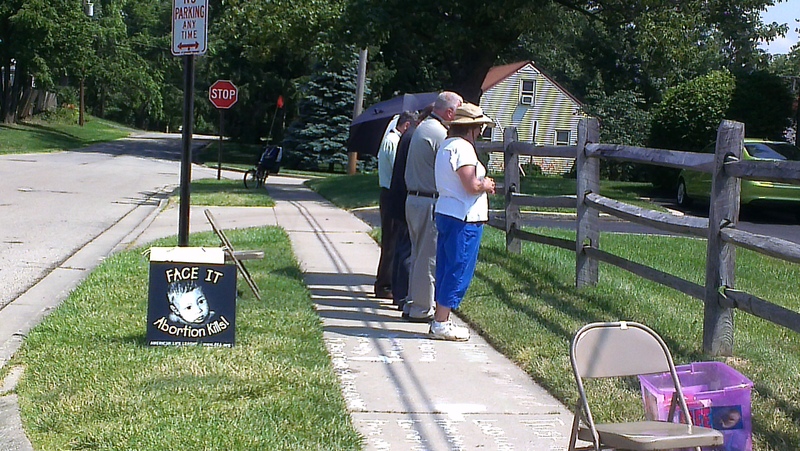 During our time on the sidewalk and the 40 Days for LIFE vigil, we PRAY, to the utter chagrin of prochoicers/proaborts. We do not judge, we do not use ‘hand gestures’, nor do we hate. However, we see our fill of those who oppose our work with judgement, using hand gestures with hate. The hypocrisy of the prochoicer/proabort is nearly hilarious, but instead we pray FOR them because we know that they are truly lost in a web of deceit in a godless chasm. God not only believes IN you, He KNOWS you AND your disobedience. You hate God’s creation so much that you wish it dead by abortion, the most heinous of murder to the most innocent. Is there a greater sin than abortion? Abortion murders His creation. God DID address abortion and childlessness in the Bible particularly to the offender; God LOVED His creation so much that He gave Jesus as a sacrifice for all, rather than women sacrifice their unborn and born children for themselves. But God in His love and wisdom, created mankind AND sanctified it. We are His children. But mankind would always want to do what is NOT of God. We humans want to fix everything on our own terms without seeking God’s guidance. Abortion is used to fix a problem in a humanistic way rather than approaching the Throne of Grace to seek God’s wisdom and forgiveness. To ever seek an abortion says that sin overcame. God is not pleased with abortion nor has He ever told one person that abortion is the answer. 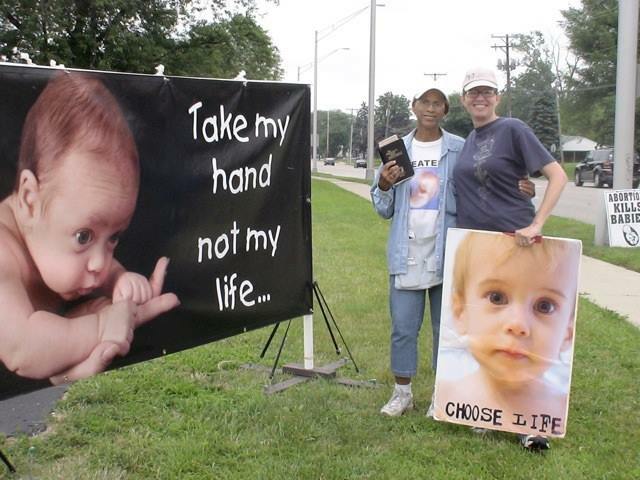 Women have told us on the sidewalk that God said it was okay to abort – justifying sin with more sin is insanity. Previous postBECAUSE I SAID SO.